TinyPNG is an easy-to-use and fast digital photo editor that uses smart lossy compression techniques to reduce the file size of your PNG image files. With this free service, your PNG files will instantly became much smaller with intelligent compression of colors from 24bit range to 8 bit range, all while retaining their alpha transparency. This tool is perfect for web designers who want to optimize their website and provide their user faster, more productive and easier to browse experience without any image loss. TinyPNG can be accessed from all modern web browsers (Chrome, Firefox, Opera, Safari and Internet Explorer) and it doesn’t require presence of Flash plugin. Make your website faster and save bandwidth. 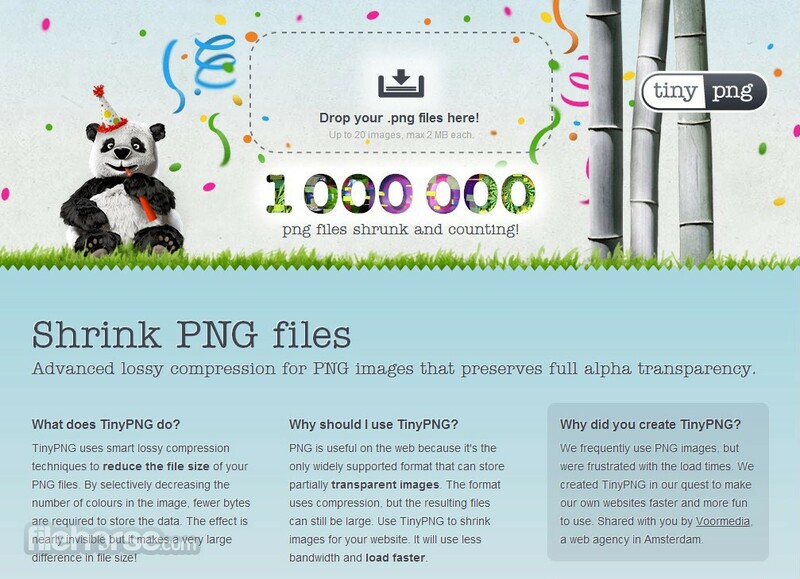 TinyPNG compresses your PNG images by 50-70% while preserving full transparency! 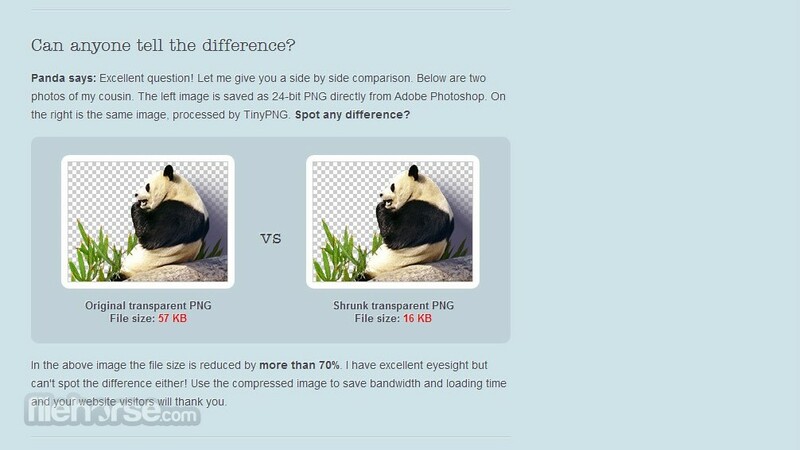 Smart PNG and JPEG compression. Optimize your images with a perfect balance in quality and file size. Why should I use TinyPNG? PNG is useful because it's the only widely supported format that can store partially transparent images. The format uses compression, but the files can still be large. 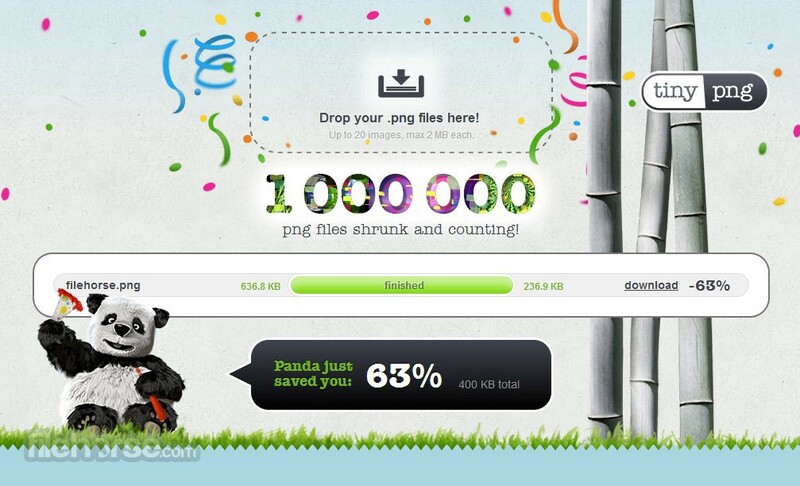 Use TinyPNG to shrink images for your apps and sites. It will use less bandwidth and load faster. Excellent question! Let me give you a side by side comparison. Below are two photos of my cousin. The left image is saved as 24-bit PNG directly from Adobe Photoshop. On the right is the same image processed by TinyPNG. Spot any difference? Excellent question! When you upload a PNG (Portable Network Graphics) file, similar colors in your image are combined. This technique is called “quantization”. By reducing the number of colors, 24-bit PNG files can be converted to much smaller 8-bit indexed color images. All unnecessary metadata is stripped too. The result: better PNG files with 100% support for transparency. Have your cake and eat it too! In the above image the file size is reduced by more than 70%. I have excellent eyesight but can't spot the difference either! Use the optimized image to save bandwidth and loading time and your website visitors will thank you. Excellent question! The files produced by TinyPNG are displayed perfectly on all modern browsers including mobile devices. Still need to support Internet Explorer 6? It normally ignores PNG transparency and displays a solid background color. With TinyPNG the background becomes transparent again. Binary transparency without any workarounds! Can I use animated PNG? Excellent question! Chances are animated PNG (APNG) will get very popular soon. For several years Firefox and Safari have supported APNG. And in July 2016 Google decided to start developing APNG support for Chrome. Right now Microsoft Edge, Chrome and Opera will just show the first frame of your animation which you can also hide from supported browsers. Apple added animated stickers to iMessage with the release of iOS 10. If you want to create and compress stickers under 500 KB take a look at the iMessage Panda sticker example on Github. Excellent question! Only Photoshop CC 2015 and 2017 can save images as indexed PNG files with alpha transparency. With other versions it is impossible and Photoshop CS5 cannot even display them properly. You can use Save for Web to export your images as 24-bit transparent PNG files and upload them to TinyPNG. We'll convert them to tiny indexed PNG files. You can also install the TinyPNG Photoshop plugin. It allows you to scale, preview and save compressed PNG and JPEG images straight from Photoshop. Why did you create TinyPNG? Excellent question! We frequently use PNG images, but were frustrated with the load times. 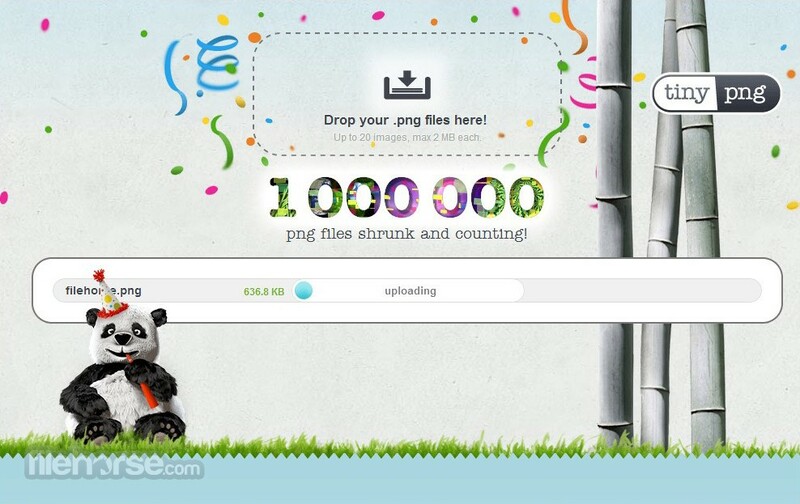 We created TinyPNG in our quest to make our own websites faster and more fun to use with the best compression. In 2014 we added intelligent compression for JPEG images and in 2016 we added support for animated PNG. Compressing images with the website is free for everyone and without adverting, and we like to keep it that way! FotoJetMake Photo Collage for FREE!